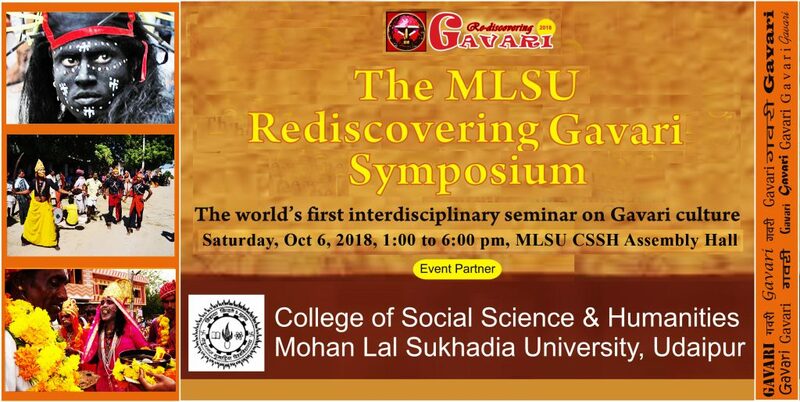 On Saturday, Oct 6th from 1:00 to 6:00 pm, Mohanlal Sukhadia University’s College of Social Science & Humanities & RGP 2018 will host the world’s first interdisciplinary seminar on Gavari culture. This unprecedented event will feature a broad array of authoritative (and entertaining!) voices as well as original Gavari photography & mixed media creations from senior students at the UCSSH Art Department. eco-spirituality & female empowerment to egalitarian politics & environmental defense. ICH, sustainable development, etc. is welcome to attend.